Changing your dog’s diet should be a gradual process. If you’ve ever had to get your kid to eat more veggies by adding them gradually to their meals, you’ll be all too familiar with this concept! Occasionally though, product recalls and sudden health issues can mean you’ll have to do it quickly. Here are a few tips to make the transition smoother. Start shopping around for a dog food that’s a pretty close match to what you were feeding your pooch beforehand. Let’s say that your dog’s been eating a formula that was lamb and rice based, which has since been recalled. Go looking for another lamb and rice formula. If possible, take some of the old packaging out with you, and compare the list of ingredients. If you can match up the first few, then the foods will be fairly similar to your dog, and they’ll be more likely to be receptive of it. It’s also a good idea to check the guaranteed analysis. If you put your dog through any major changes in the level of protein, fiber or fat, it’s probably not going to go down well! You may have had experiences in the past that shows your dog has an especially sensitive digestive system. If you’re forced to make a sudden change in their diet, it’s a smart move to buy a formula labelled as easily digestible, and gradually mixing in small amounts of the food you’re ultimately trying to move onto. As you wean them off more and more, consider feeding them some probiotic supplements, in combination with the best healthy dog treats you can get your hands on. This will minimize the chance of them getting diarrhea or other stomach problems when you suddenly change their diet. 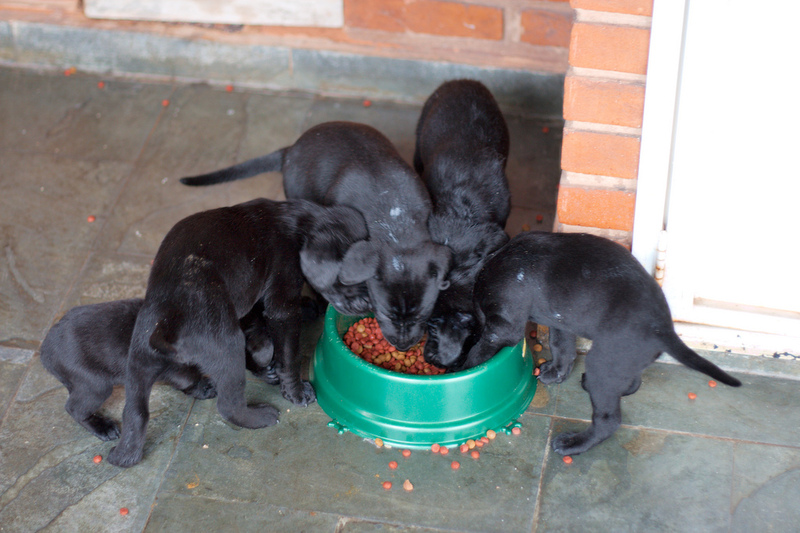 Once you bring home the new dog food, start off by giving your dog a small meal of it. If they eat it, and don’t develop any noticeable tummy issues as a result, give them another meal a few hours afterwards. From there, you can gradually increase the size of portions, and decrease the frequency of their feeding, until you get back to the normal routine. This should only take a day or two. If they turn their noses up at it, take it away, and don’t give them anything other than a couple of treats for six to eight hours. It’s okay to let them go hungry for a little while, provided you continue to offer the new formula every six to eight hours, and take away whatever is left over. Try this for two days, and if they’re still not eating it, talk to your vet. They’ll usually be able to point you towards another, better formula. Just try to avoid any sudden changes in flavor, as this can lead to fickle, unpredictable eating habits. 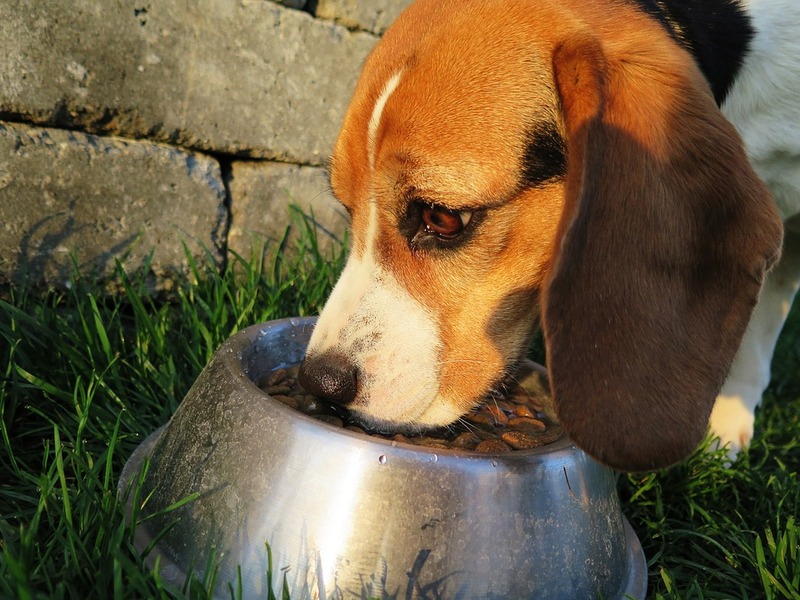 If you’re in a position where you have to change your dog’s food quickly, we hope these tips have made the whole thing much easier! A Pooch With The Perfect Personality? Next story So You Want To Build A House?